Whenever a spill occurs, one that adversely affects the environment, the City is required to report the incident to Alberta Environment and Sustainable Resource Development. The City actively tries to minimize the negative impacts that spills can cause to the environment, human health and safety or property. 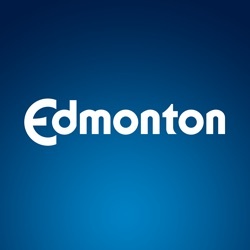 The City of Edmonton attempts to exceed these requirements by encouraging employees and contractors to report all releases, no matter the size or extent of impact, to a City 24/7 operated call center. Constructed wetlands are an integral component of Edmonton's storm water management strategy, while also providing habitat and urban biodiversity. Increasing the connections between natural areas and constructed wetlands improves ecological integrity while providing important ecological services. Residential Waste Diversion measures the percentage of residential waste diverted through source reduction and recycling, composting and future waste conversion technologies. Over the past 10 years, LRT boardings have grown by 132.5%. The City aims to continue its expansion of the LRT network. The Southeast to West LRT (Valley Line) is a low-floor urban line that will run from Mill Woods to Lewis Farms, crossing through downtown. Ecological footprint analysis compares human demands on nature with the biosphere’s ability to regenerate resources and provide services. Pesticide Alternatives refers to the proportion of City-owned and managed turf areas where alternative integrated pest management measures such as mowing, digging and hand-pulling were utilized to control weeds.